Many military installations are known as forts. The concept of a militarized zone dates back to ancient history. while others are more recent. Many forts are now in the city as development occurred around the fort. 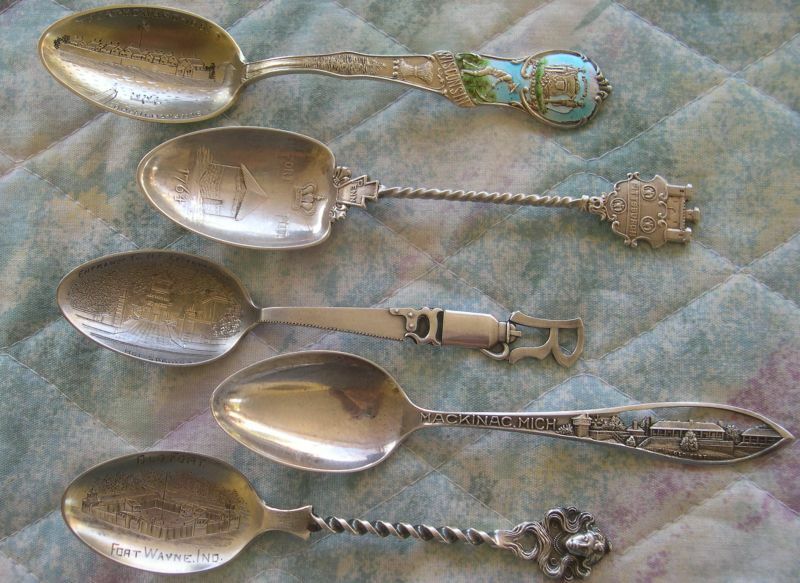 Travelers during the spoon collecting era often visited and brought home memories. "A rare photograph of U.S. Army soldiers stationed at Fort Howard canoeing on the Fox River. 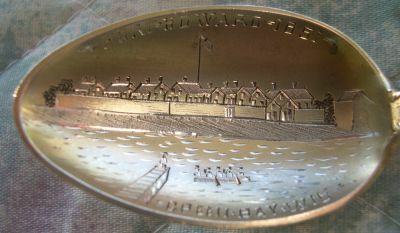 Fort Howard, built in 1816, was the first in the chain of forts stretching from Fort Winnebago (at Portage) and Fort Crawford at Prairie du Chien in order to protect the early Wisconsin frontier. Because of unhealthy conditions a new fort was built on higher ground. 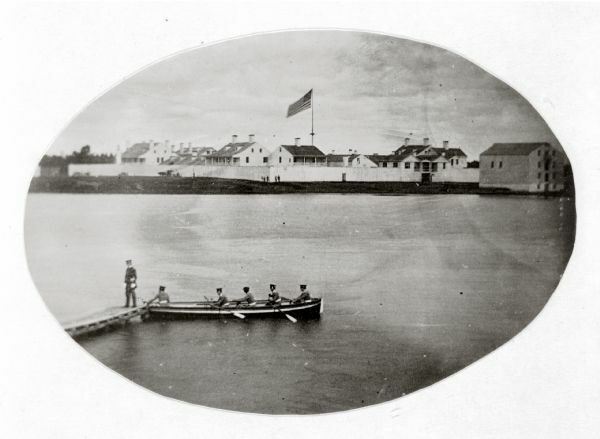 Two years after this photograph was taken, Fort Howard was decommissioned. 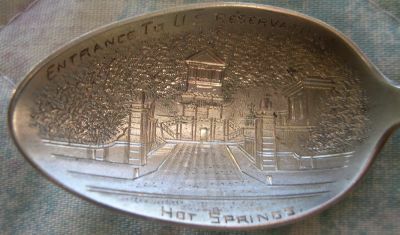 Several of its original buildings have been preserved at Heritage Hill State Historical Park." I also want to thank Lynn Austin for bringing this information to my attention. 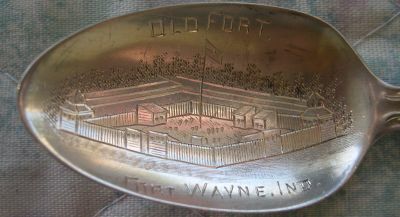 "The Fort originally was called Fort Brown after General Brown the chief commander of the U.S. military during the War of 1812, then it was later re-named Fort Howard after it was moved a short distance and rebuilt on higher and dryer ground, a bit to the south and west of the original location of Fort Brown. It's namesake is actually General Benjamin Howard commander of the Louisiana Territory during the War of 1812. 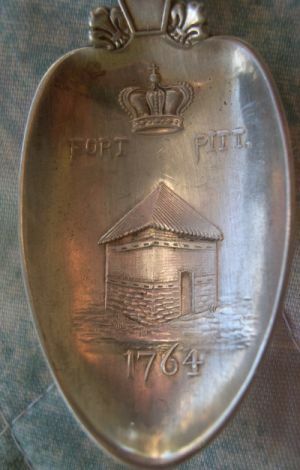 Evidently, it seems that Brown County and the Fort were claimed by the U. S. as being under the jurisdiction of the Louisiana Territory military - even though it was part of the Northwest Territory. Construction of Fort Brown first began in late 1816 after the close of the War of 1812."